Need to have your golf cart transported from one location to the next? At Haul Away Auto Transport, we will ship your golf cart to any city, county or state in the entire US. We also ship golf carts internationally, including overseas golf cart transport services. We are industry leaders in golf cart transport services. Our quality auto transporter service gets your golf cart to its new location at your convenience. Our vehicle carriers are licensed and bonded to operate all over the country. We follow the guidelines set forth by the Department of Transportation (DOT). 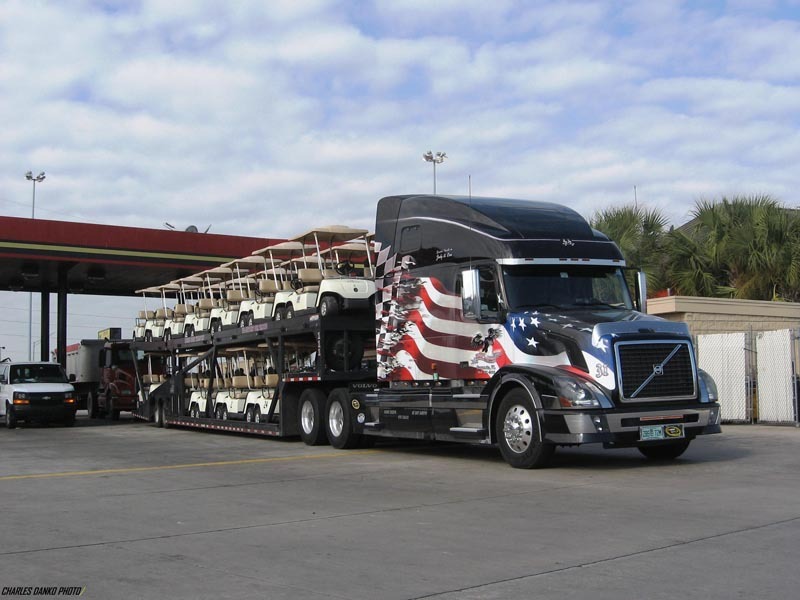 Each golf cart is transported with the utmost care by a highly skilled autotransporter. Every vehicle hauler is fully-insured to give you peace of mind. We also provide optional extra insurance coverage for customers who want added protection. It takes special skills for shipping a golf cart across the state and nationwide. Haul Away Auto Transport has those skills. We will also ship your golf cart to Canada, Mexico and overseas. Door-to-door golf cart transportation means there’s no need to drop-off or pick-up your golf cart. With our door-to-door golf cart transporters, we pick yours up directly from your home, course or storage location. Then, it’s safely delivered to you at the other end, directly to your door or location of your choice. Our golf cart carriers are professional, courteous and trustworthy. They have solid reputations within the auto transport industry. And, when it arrives, it’s in the same condition it was in when you trusted us with it at your pick-up location. It’s very important to us that your golf cart shipping goes as smoothly as possible. That means good preparation to ensure that we get it to its destination safely and on-time. That’s why we plan the best route to get your cart from point A to point B. When shipping a golf cart using Haul Away Auto Transport, your cart is automatically covered. But, if it’s brand new, vintage, antique or very expensive, you may want to get additional insurance coverage. You want to be sure that the cost of replacing it is covered if something does happen to go wrong. Although we allow this through 3rd party insurance companies, we also guarantee your golf cart’s safe delivery. Haul Away Auto Transport allows you to track your golf cart shipment. We provide our customers with tracking updates. Just give our vehicle tracking department a call at 844-428-5999. We accept major credit cards, bank and wire transfers and PayPal payments. However, you do NOT have to pay for your vehicle transport services until a carrier has been assigned. Complete the Instant Quote form on this page for low rates on golf cart shippers. You’ll receive a vehicle shipping instant quote from Haul Away Auto Transport today.